This class planner features the one sheet wonder technique. 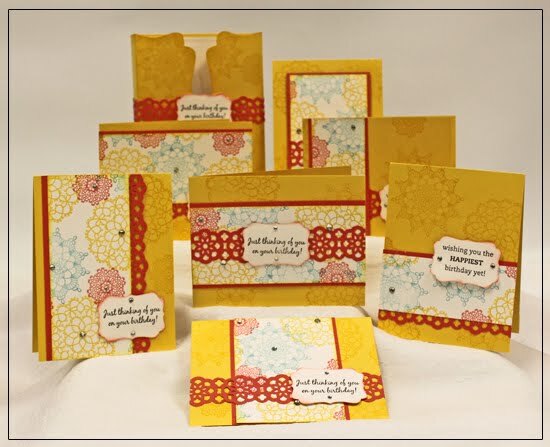 From one stamped sheet of 8 ½” x 11” CS you can create this amazing gift set made up of seven cards and a matching custom made card shawl! 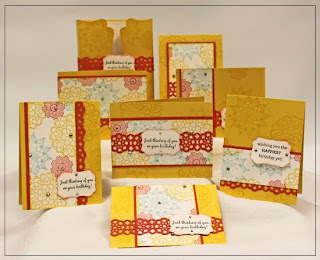 You can receive just instructions for this class for FREE with a Stampin' Up order of $50 placed in July (sorry, club orders don't count).